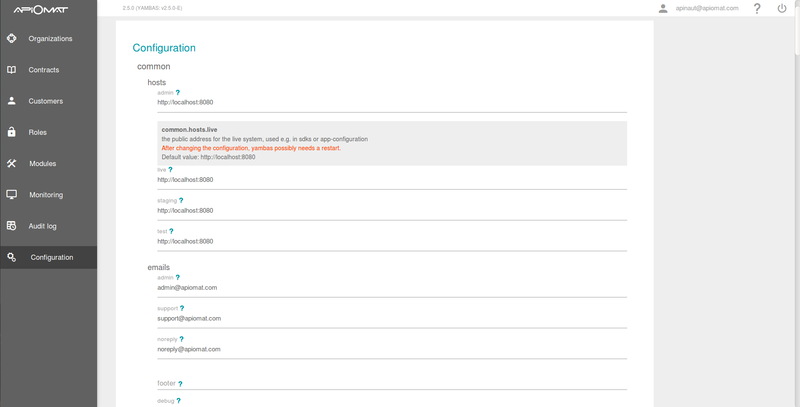 The Configuration site shows all possible settings of ApiOmat. These settings are structured like they are in the apiomat.yaml configuration file. You can set those settings and then save them with the Save-button at the bottom. You may need to restart yambas after making changes to configuration values for it to work properly. You can also click on ? for more information on a specific setting.